The advent of conversation-based User Interfaces (UIs) and Chatbots in the last couple of years has evoked a necessity of optimising and tweaking the interactions customers can have with chatbots. As a chatbot can only ever use the words and sentences he has been taught. All parts of a conversation, sentences, words, and tonalities have to be implemented into the code of the chatbot, for it to be able to have real-time dialogues. A good conversation is still one of the best ways to make a sale or establish relationships. That’s why it is becoming more and more important to create bots that can act as close to another human being as possible. When done successfully, a new kind of workforce is added to your team that is almost infinitely scalable and available 24/7. 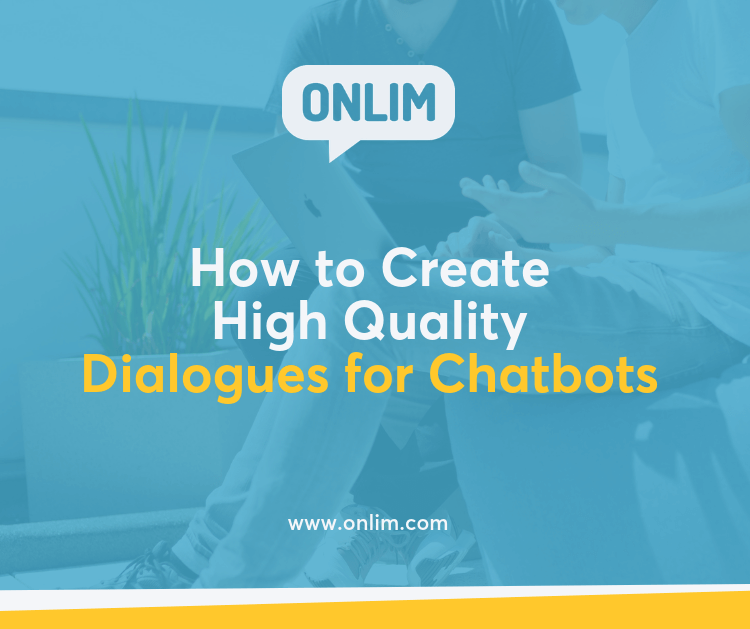 To create entertaining and goal-oriented dialogues for your customers while interacting with your chatbot, it is of utmost importance to understand their specific needs. When approaching the development of speech-based UIs and chatbots a strategic calibration is needed. Making it a lot easier to narrow down on the customers’ expectations in a conversation with your representative – a chatbot. A strong focus on analysing the demands, needs and wishes of your customers will help a lot in assessing the right options for dialogues and potential conversation scenarios. The first encounter with a chatbot is not too different from an encounter with another person. Human psychology points to the fact that within the first few seconds of an interaction most of the initial assessments of the other person have been made. For that very reason it is important for a chatbot to make a good first impression. Customers, purchasing products or services are acting in the same way. They are immediately aware of their own needs and what they want to be solved in the conversation with a chatbot. 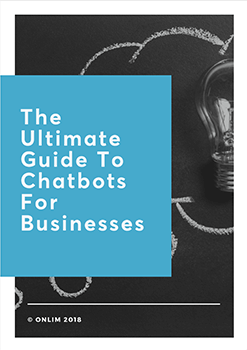 In the use of chatbots there is only a certain framework available for communication. This frame is set on a text-based dialogue, in which the value for the customer must be created. Dialogues with chatbots should aim to be direct, focused on information and solve a potential problem the customer is facing. This is how the most value for the client is created. Our normal conversations have a natural flow to them – an organic back and forth. Trying to transfer this flow to text-based conversations calls for a different way of communicating. Relating to chatbots this implies a focus on helping customers while being able to contextualise the information of the conversation. A dialogue that is enabling this interpersonal flow must be strategically developed. To create a chatbot that is as close as possible to its human counterparts involves a high amount of creativity. It is akin to the process of creating a fictional character. This character can then interact in certain ways with customers. By being funny, witty or a sterner and more serious avatar of a person. A tone of voice document can help being consistent in the use of the chatbots character traits and individual tonalities that make up his unique personality. Dialogues are not happening in a vacuum. A customer is not just starting a conversation with a chatbot for the sheer fun of it. That’s why it is important to keep the reasons for the interaction in mind and specifically cater to solving any possible issue the customer might face. How can the solution to the customers inquiry be brought about in the easiest possible way? A flow chart of potential conversation elements can help to get clarity on the different paths a dialogue can follow. Making sure the right steps to helping the customer are taken. Chats can be very influenced by many different variables. Any new question can call for a multitude of optional answers. Having gone through these varying scenarios beforehand and creating text snippets the chatbot can use in different situations, makes it all the more helpful. The scenarios of interactions are the basis for developing the elements of communications – as is choosing the right words and sentences. These scripts should be written in a way that they always keep the immediate tasks of the chatbot in mind. The right order of questions and answers makes all the difference in guiding the conversation and finding a solution for the customer. Closed questions are especially useful to solve problems in a focused manner. Testing and modifying the flow of chatbot dialogues is going to be an ongoing process. Yet, using the information that other conversations have provided will help to make future ones even better. One conversation at a time. Want to learn more about chatbots & voice assistants?